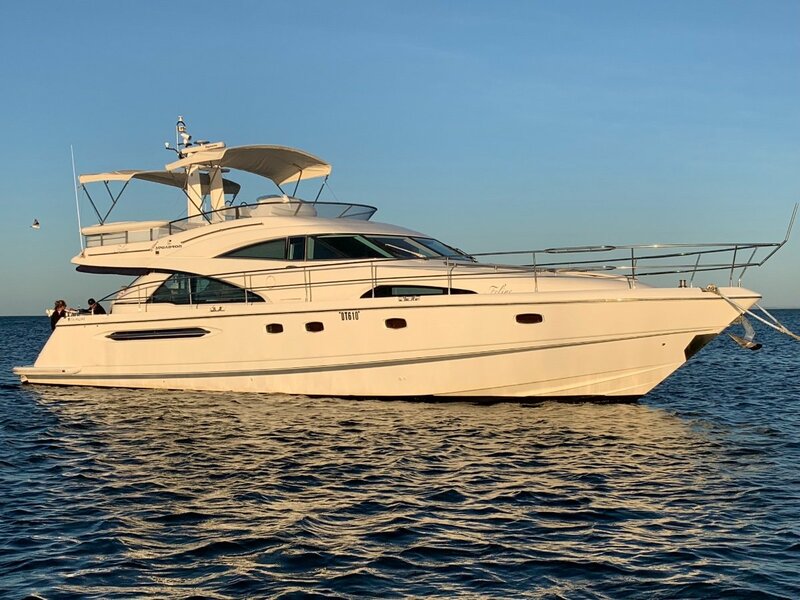 Only one resale share available in this stunning Squadron 58. Berthed in Fremantle for easy access to the Swan River and Rottnest Island. This is a long standing syndicate utilising the Boat Equity boat share system. Powered by twin shaft drive Volvo D12 800hp engines plus bow and stern thrusters. The massive flybridge is a signature Fairline feature with plenty of room to entertain. The accommodation includes 3 cabins and 2 bathrooms.